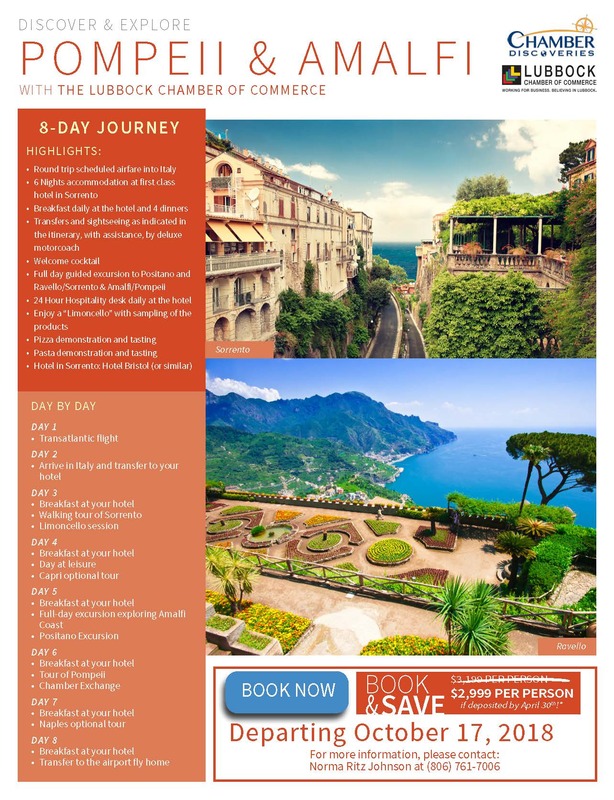 Have you ever thought about traveling to Italy, but didn't know when you'd be able to? Now is your opportunity! The Lubbock Chamber of Commerce will host a trip to Italy on October 17! Spread the word! We want you and your friends/family to join us for this once in a lifetime experience! Contact Norma Ritz Johnson for more information at (806) 761-7000 or by email Norma Ritz Johnson.